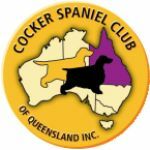 Welcome to the Cocker Spaniel Club of Qld Inc.
Our Club has been without a website presence for sometime, and we are now working on this website. We also have a FACEBOOK page that we are keeping as up to date as possible and hope you will visit our Facebook page (and like and follow) to keep up to date with the Club. Be patient with us whilst we get this site up and running again.